Mollart America is the US based sales, engineering, service and support operation of Mollart Engineering Ltd., a worldwide operation based in the UK and founded over 80 years ago. 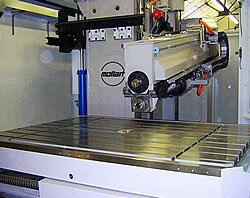 Mollart is rich in experience with design and manufacture of deep hole drilling machines, subcontracting and tool manufacture all under one roof. 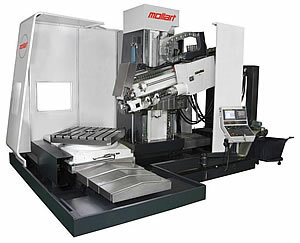 For the past 40 years Mollart has been selling and supporting gun drilling and deep hole BTA machines in various configurations built for the US market. Our focus is on applications to provide our customers with highly cost-effective HOLE SOLUTIONS while incorporating our machines and the knowledge of the process gained from Mollart Engineering's extensive in-house subcontract operations, as well as the knowledge resulting from the utilization of gun drill tooling Mollart manufacture under license from BOTEK of Germany, the world's largest Deep Hole Drilling Tool manufacturer. Mollart provide THE HOLE SOLUTION for the Aerospace, Armament, Automotive, Defense, Medical, Military, Nuclear, Oil, and Telecommunications industries. 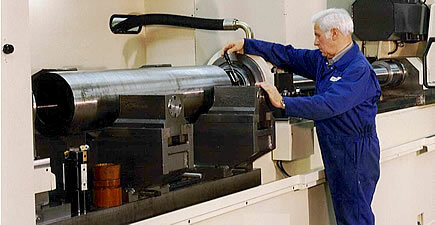 Drilling 0.1" - 1.4"Ø (3mm - 35mm) at depths to 60" (1500mm). 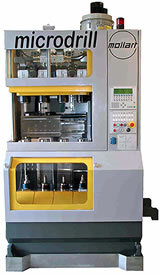 Incorporate a low cost, quick-change spindle adaptor kit which enables this machine to perform additional tasks such as milling, rigid tapping and thread milling which increases the machines overall versatility. 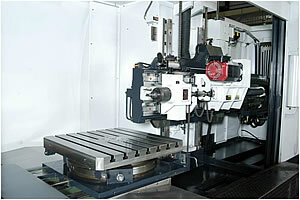 For water feed cavities in bases for dies and molds and tube plates, and for off-center hole and pattern drilling. 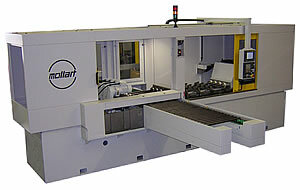 Large capacity productivity & flexibility! 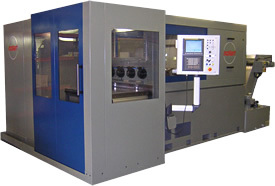 Please contact us to learn which machines are available. We gladly accept Visa, MasterCard, Discover or American Express credit cards.